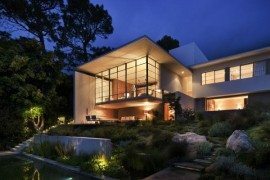 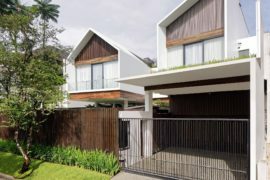 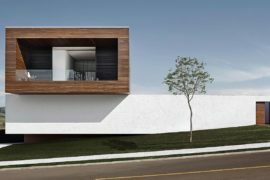 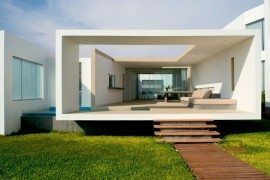 Smart architecture is all about adapting to the landscape even while flawlessly serving the needs of those residing within a structure. 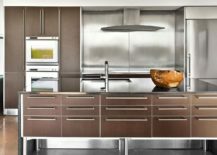 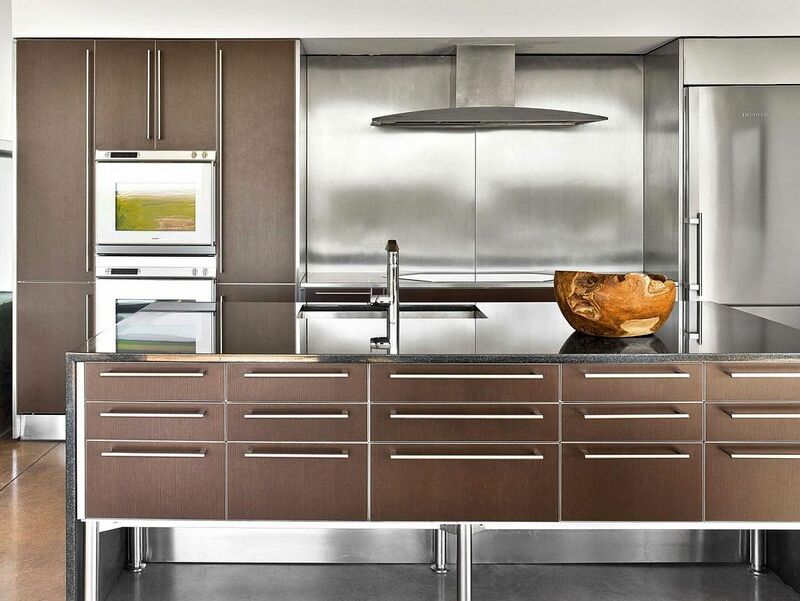 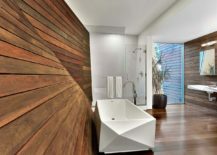 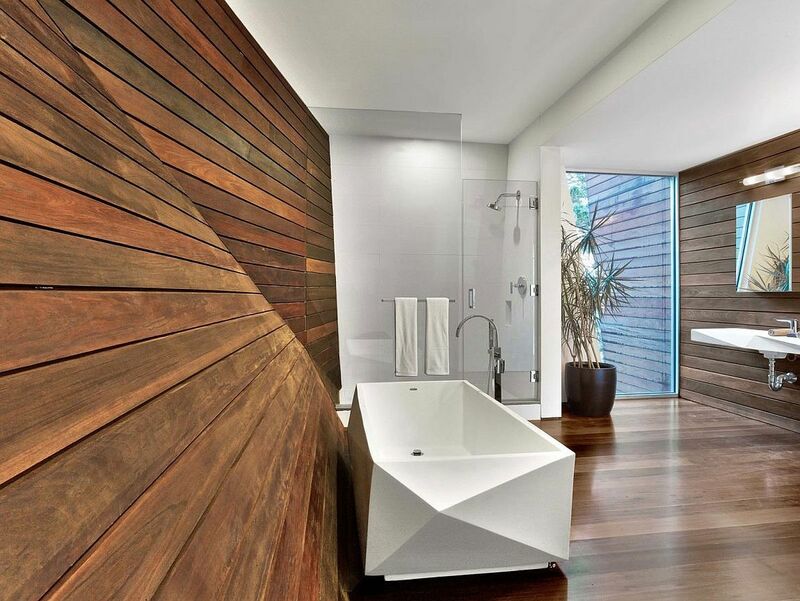 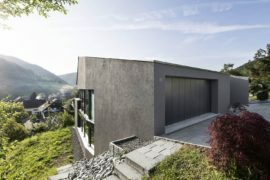 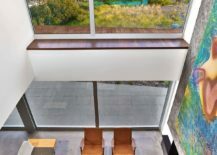 It is a delicate balance that is enhanced by elegant aesthetics and contemporary overtones. 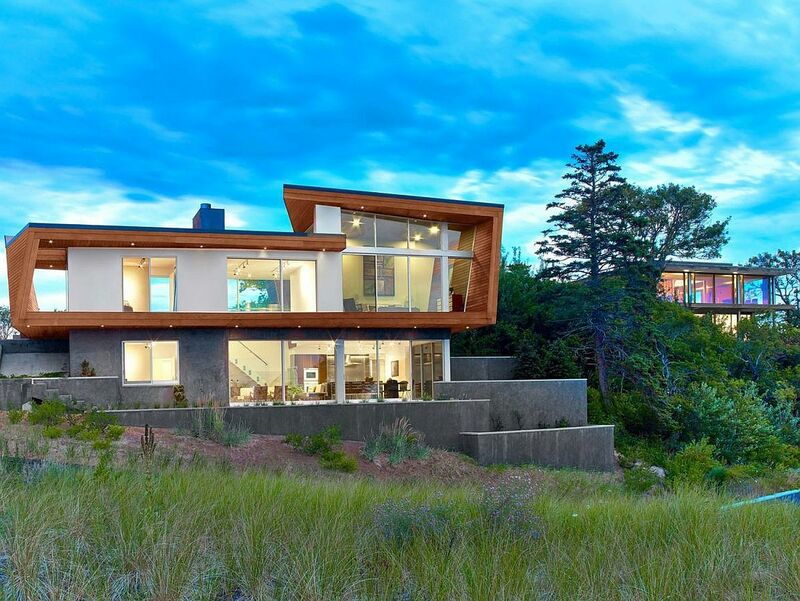 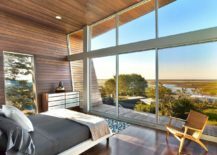 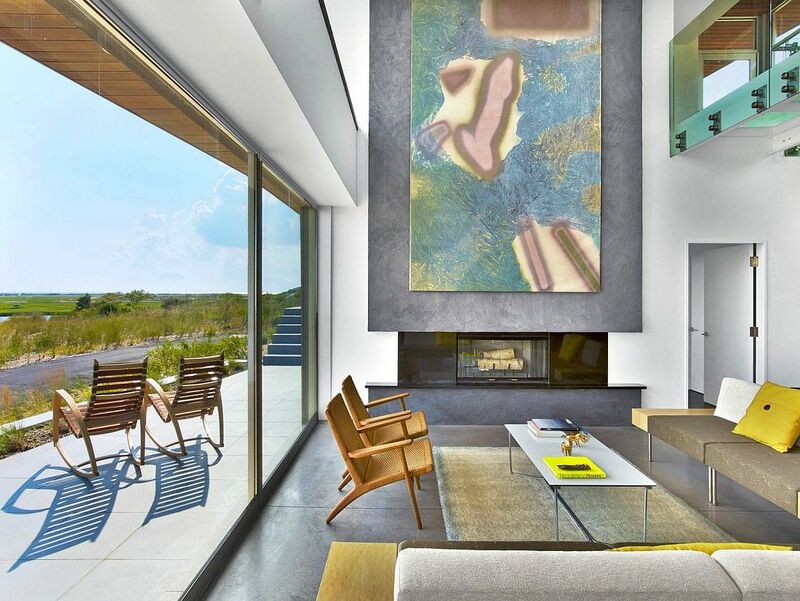 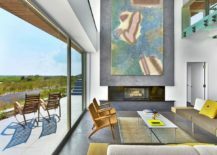 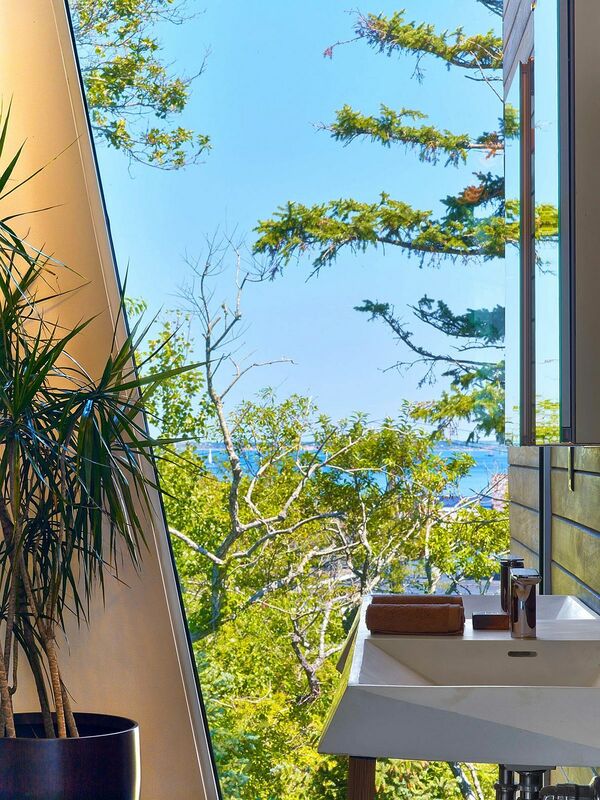 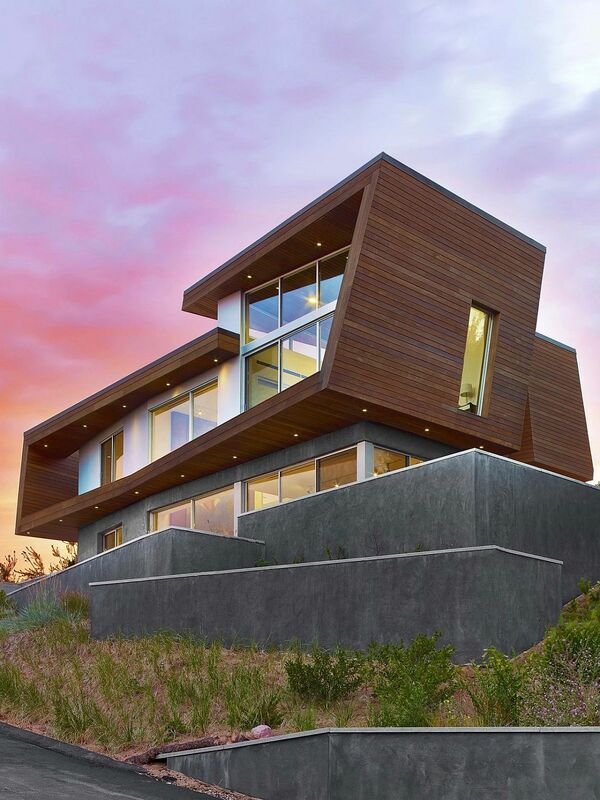 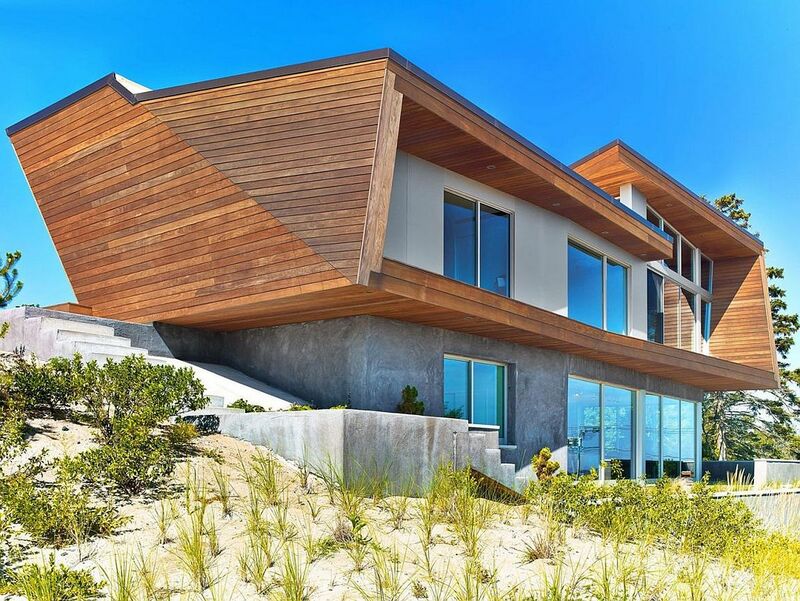 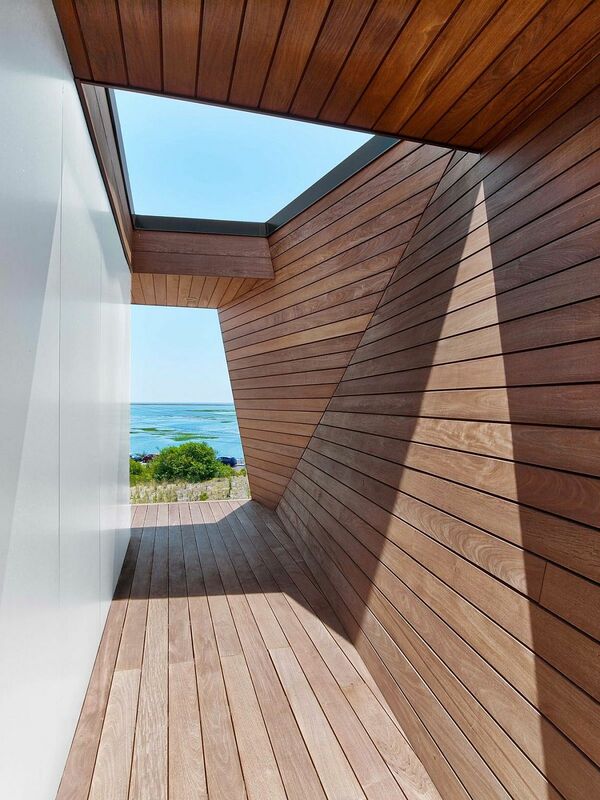 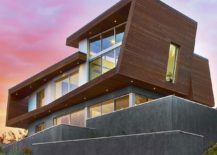 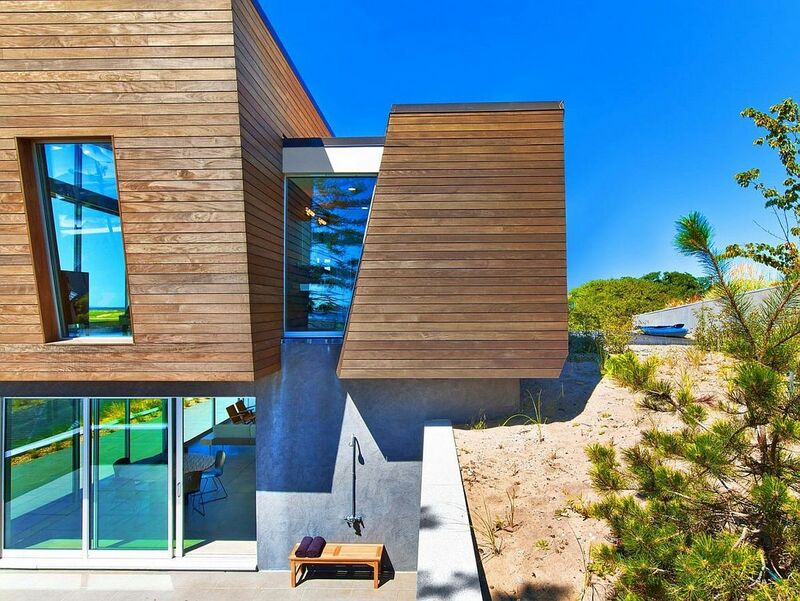 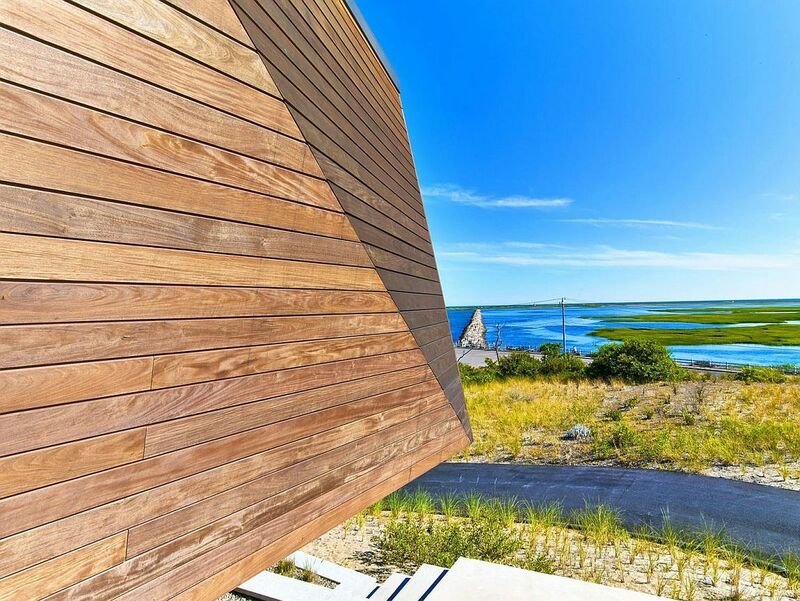 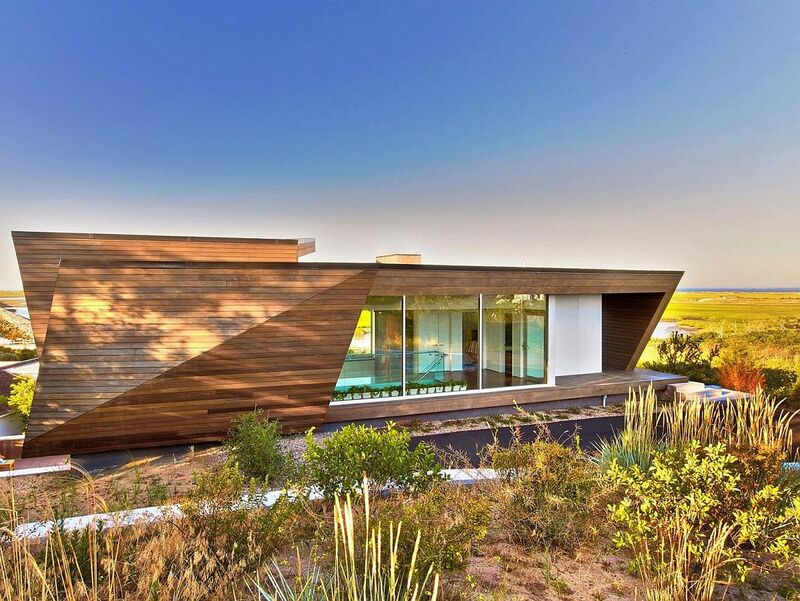 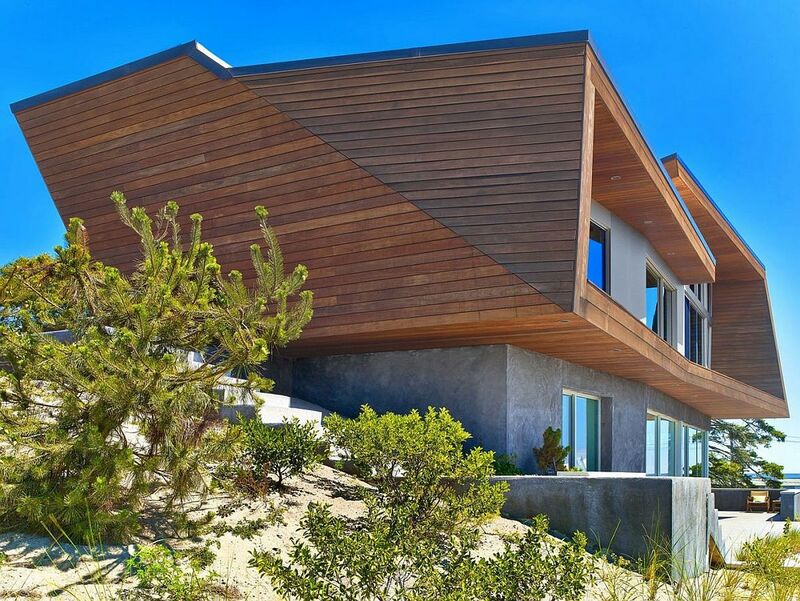 Set on a picturesque dune strip and sitting on the edge of marsh that stretches into the Cape Cod Bay, this gorgeous beach house designed by Hariri & Hariri Architecture showcases this fine balance to perfection. 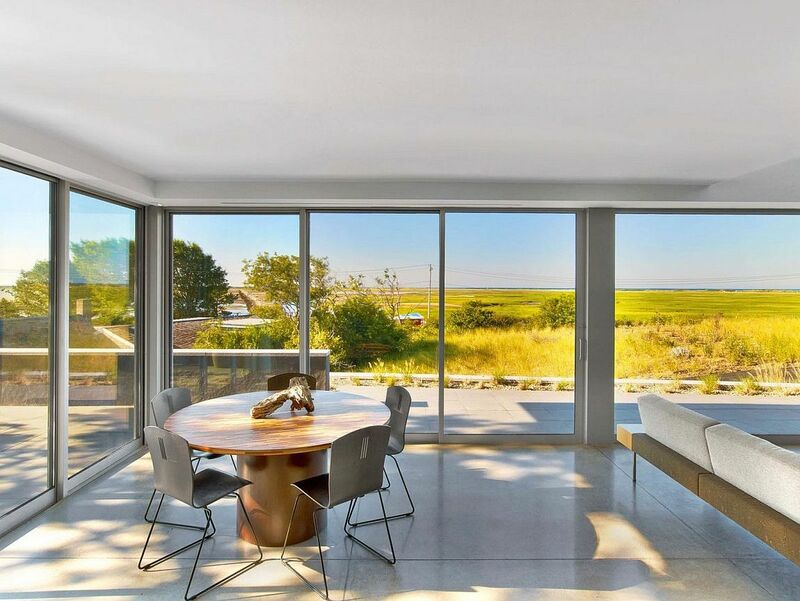 With a concrete lower half that offers stability and a top volume that is engulfed in wood, the Cape Cod Beach House is both sculptural and practical in its form. 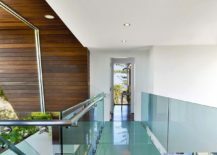 One enter the top wooden level of the floor on street level and instantly notices the charm of Cape Cod and the surrounding landscape becoming a part of the overall design. 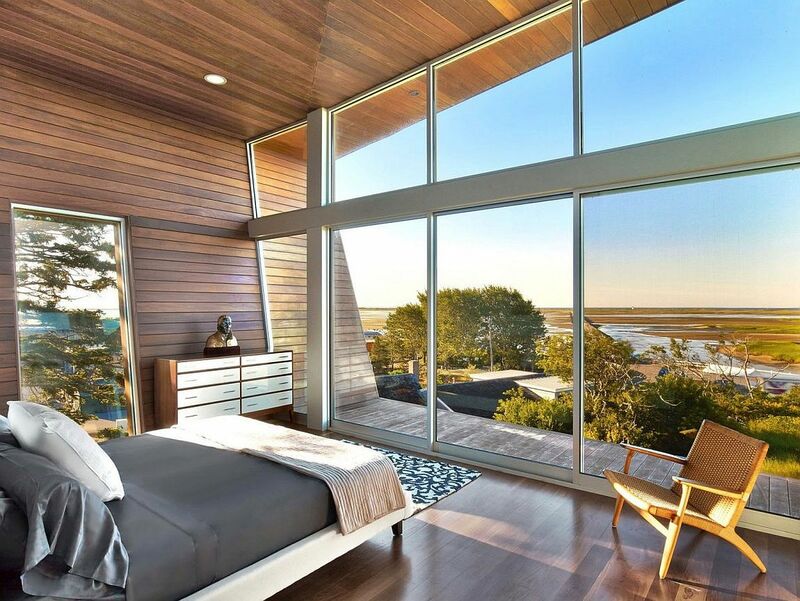 With its unique silhouette the house seems striking and yet surprisingly non-intrusive even as the top level master suite and guest suites offer amazing view of the Bay area and beyond. 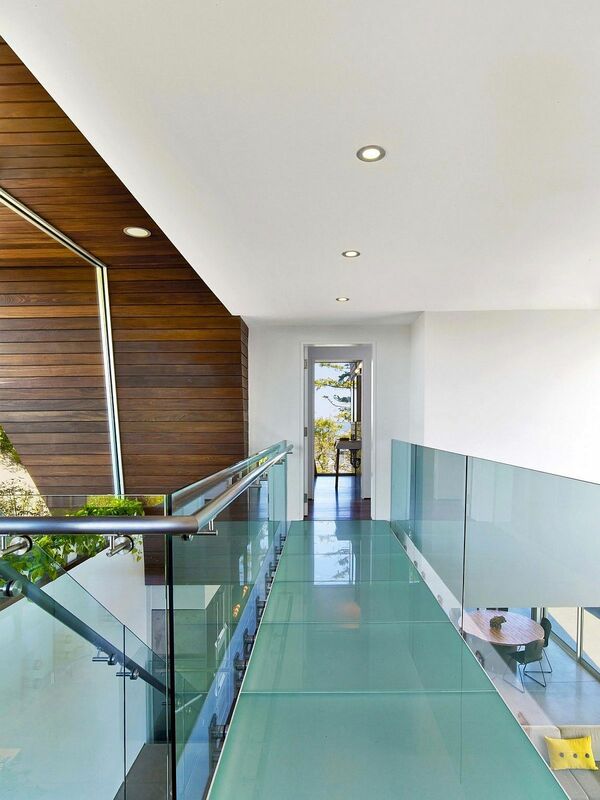 A glass walkway connects these two wings with the lower level housing the stylish living space, large kitchen dining and other public zones. 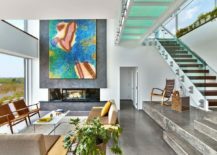 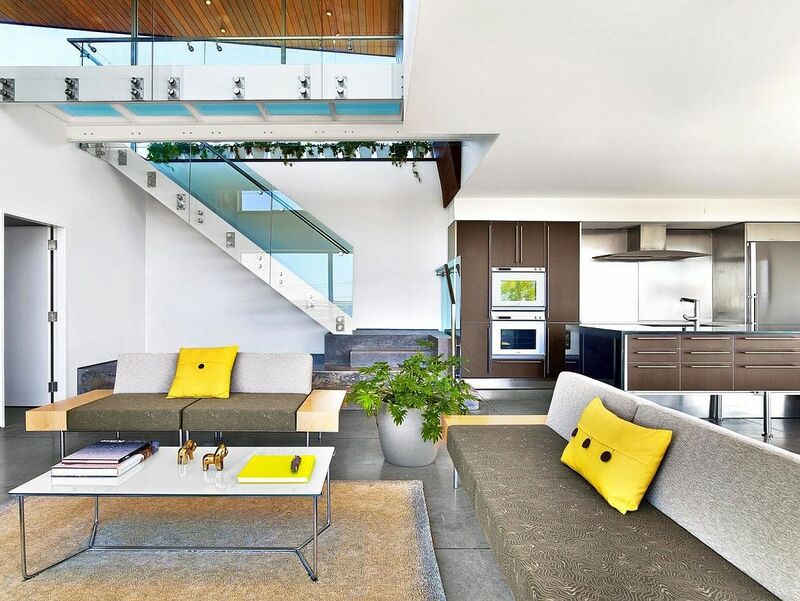 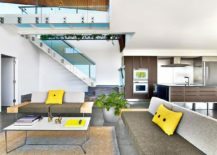 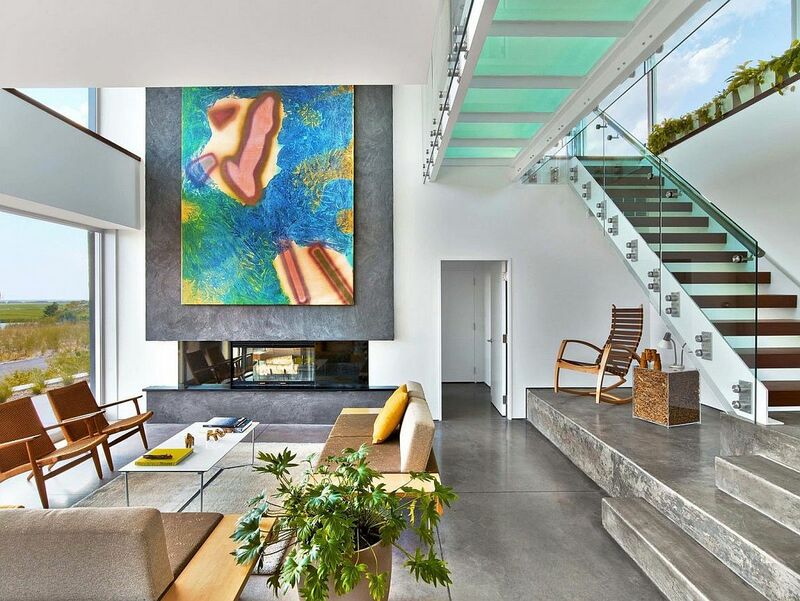 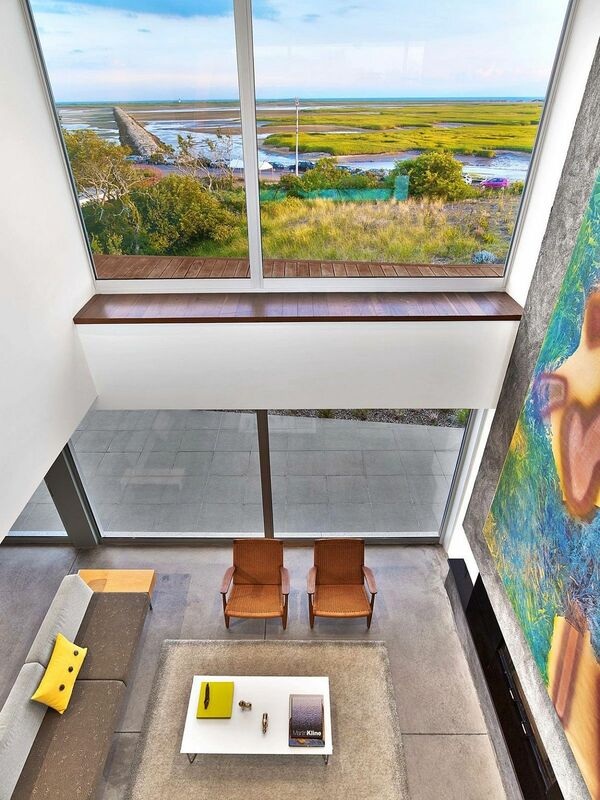 Color scheme inside the beach house is neutral with pops of yellow and green ushering in color while a cool fireplace and a contemporary staircase with glass railing connects the two levels of the relaxing home. 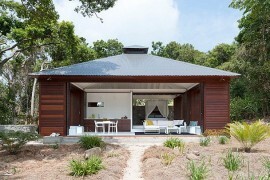 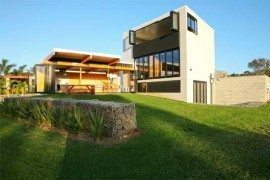 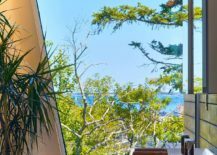 A simple deck and patio complete this contemporary beach house which charms you with its exceptional form.